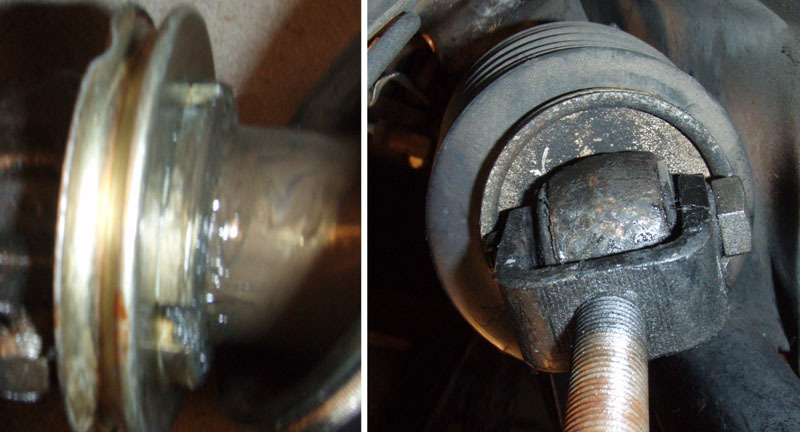 The easy part is done - removing the ball joint at the wheel. I Does anyone know how the other end comes off? I thought it was just screwed in because the turbo tierod I have is threaded at that end. I removed everything else and using several different tools tried turning the forked joint CCW. It turns, but it doesn't come out! Being cautious by nature I thought I would stop until I understood the problem better. I have a tierod wrench from Pelican that I don't know how to use at this stage. It will grip one side of the bellows holder, but that doesn't come off. Anyone done this?